Deep-water dock on the Banana River conveys w/ this 2nd story condo unit in VERY desirable, secluded gated subdivision! This is a RARE opportunity--Other properties on this coveted street range from $500k to $1,000,000+ !! From this barrier island, there is quick access to the Indian River & the intracoastal waterway. 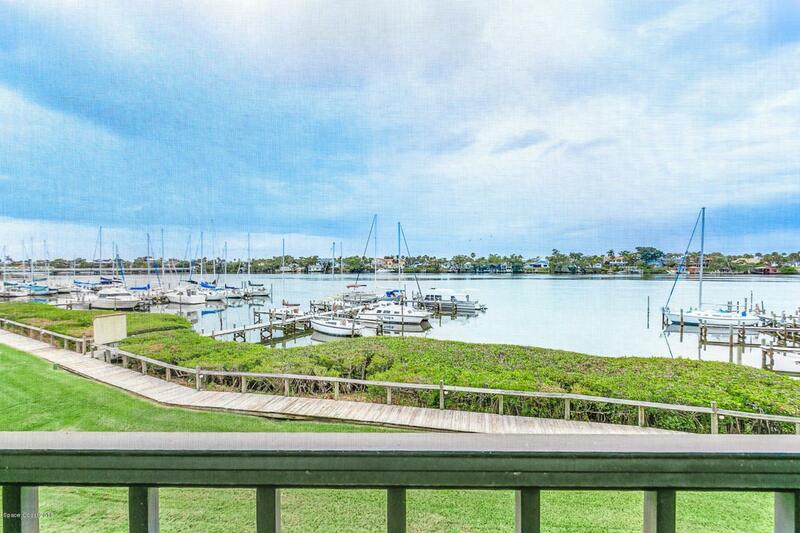 Amazing views of the river life--dolphins, fish, crew teams & boats--all from your patio/liv rm/master bedrm!! Close to shopping, restaurants, parks, the ocean, library & post office. 15 min to Melb. airport; 55 min to Orlando & Sanford intl. airports. This is a well-maintained unit in a well-managed association. Land lease for river dock is $83/month; Super easy to show!! Please ck out supplement for breakdown of HOA fees & much more information...click here---->It is very rare that units in this complex come up for sale. The location is excellent. 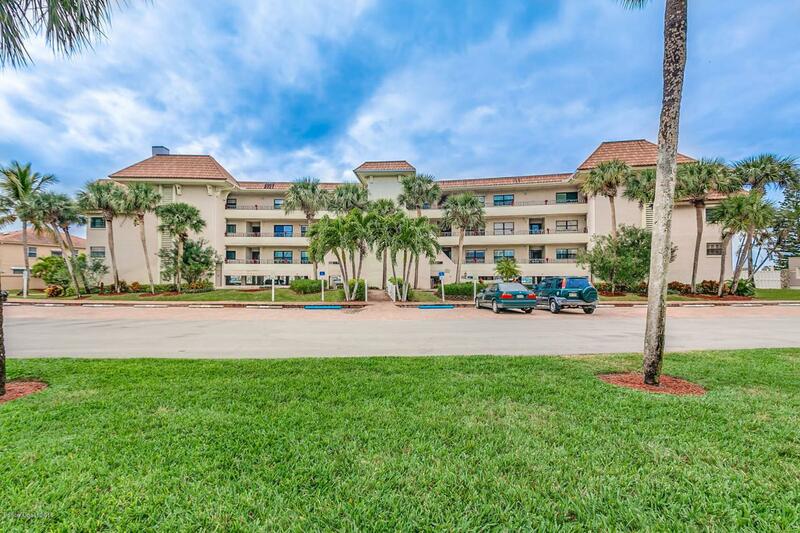 The building is located between the Banana River on one side, the canal on the other side, and is 5 minutes to the Indian river and the Intracoastal. The river slip allows a six-foot draw, more with heavy rain. The river docks are given a license to their owners (again, some river docks are owned by people outside the complex). The river dock owners pay the land lease for the annual land lease for the river bottom to the state of Florida. The water depth is 6 + foot, and when water is higher due to rain, up to 8 ft. Interestingly enough, the state owns that land that the docks are on (water and sand!) and there are monthly land lease fees for each dock. Mike Thelander with Nexus/Platinum Coast (321-431-2611) can assist you with any questions regarding the docks and how they transfer to new owners. The land underneath the docks is owned by the state, and owners pay a monthly land lease to the state. Monthly fees are as follows: $357 Monthly HOA's $157 Master insurance policy $ 83 River side land lease _________________________ $597 Monthly payouts Owner is currently leasing the dock slip out for $250/month The monthly rentals in the complex range from $1900-2700. These were all first floor rentals. The rental period is a 7 month minimum, which 3 month rentals allowed within reason. A maximum of two pets are allowed and max pet weight is 20 lbs. The HOA plans on painting the complex in January or February. Even though the roof is currently in good shape, they will be replacing the roof in 3-4 years. 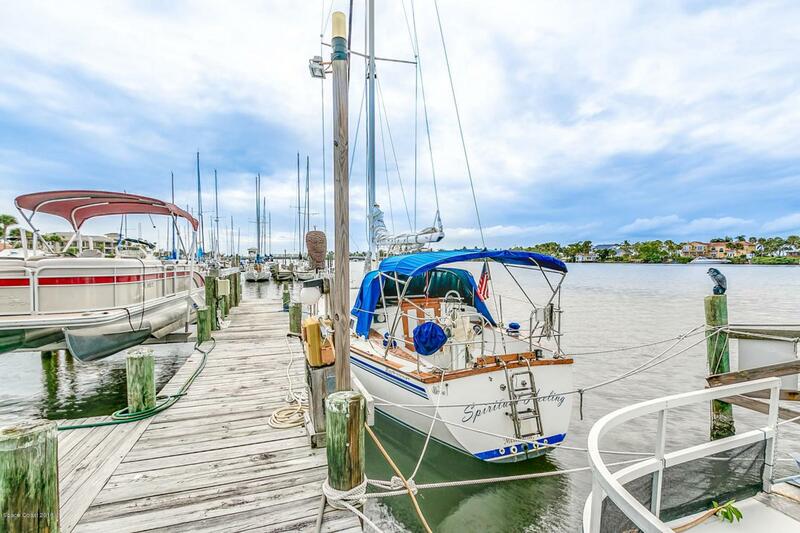 Each owner in there has one dock slip (most of these are canal dock slips) There is no deed on the unit's river dock; it is leased from the MIYRC (Marina Isles Yacht and Recreation Club). The river bottom under the river docks is leased from the state. 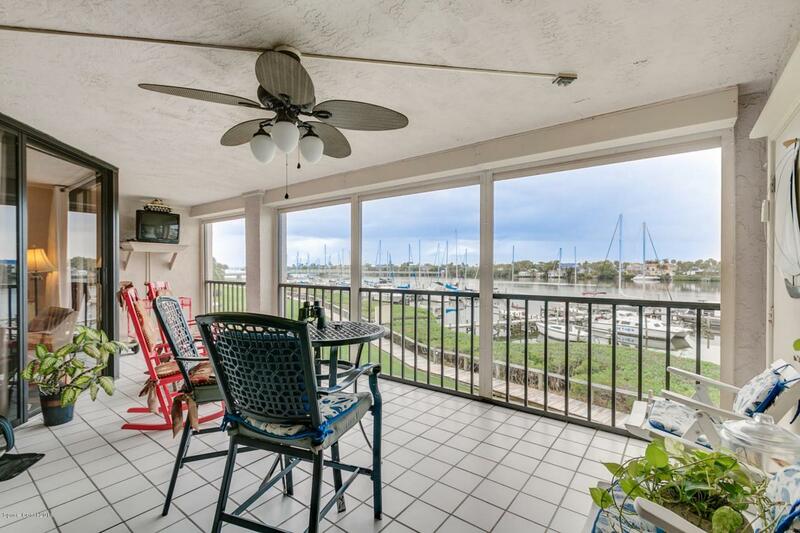 Owners in 18 Marina Isles belong to the Marina Isles Club Condo Assn and the Marina Isles Yacht and Recreation Club. The directors are from both the townhome association and the condo association, with the president of the condo association being the chairman of the MIYRC. The MIYRC oversees the common amenities: Road, pool, spa, electric, parking, common grounds, common electric, and board walkways. Marina Isles Blvd has higher end properties to the north and south of subject property. The condos at the very north end include docks but the water is more shallow with a depth of two feet or so. There is an active condo listed now in the Penthouse Residences of Marina Pointe Condos for $1,350,000. The townhomes to the north of subject property building are selling in the $500,000's. The townhomes to the south of subject property are selling in the $599,000- $676,500 range. There is a high demand for these scarcely available units, which nothing else county-wide matching all this complex (especially the views!!) has to offer. Additional information: The townhomes on Marina Isles to the north of 18 Marina Isles are also with MICCA. The townhomes to the south of the subject property on the river and the townhomes on the canal belong to the Marina Isles Townhomes Association. Mike Thelander, who works with Platinum Coast Mgmt, can be reached at 321-431-2611 if you have any questions. Listing provided courtesy of Davis Realty Group Llc.